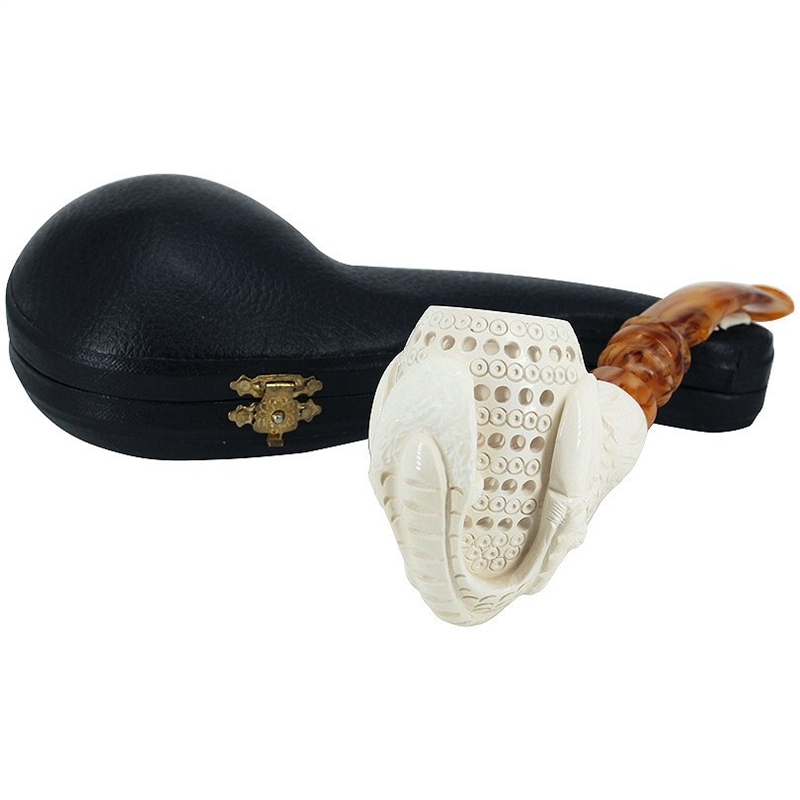 Deluxe Hand Carved Fancy Claw 3D Lattice Bowl Meerschaum Pipe - This exceptional pipe has extra space carved out under each lattice to give a 3 dimensional look. It takes a carver with patience, time and lots of talent to accomplish this look. The 3D lattice pipe bowl is held by a carved fancy claw with a long shank which attaches to a scrolled designer stem.